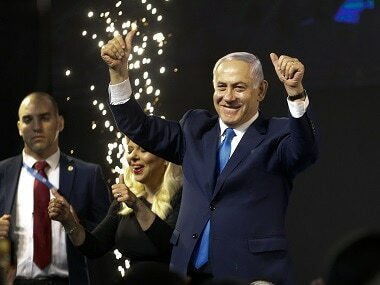 New Delhi: Prime Minister Narendra Modi and his Israeli counterpart Benjamin Netanyahu on Monday held "wide-ranging and intensive" talks to bolster cooperation in key areas such as defence and counter-terrorism. The two leaders noted the "grave" threat that terrorism poses to peace and security, including from non-state actors, and reiterated that there can be no justification for acts of terror on any ground, a joint statement, issued after the Modi-Netanyahu meeting, said. They also advocated strong measures against terrorists, terror organisations, those who sponsor, encourage or finance terrorism or provide sanctuary to terrorists and terror groups, it said. Modi and Netanyahu also noted with that the next meeting of the Joint Working Groups on Homeland and Public Security will be held in February 2018, the statement said. They reiterated the importance of building comprehensive cooperation in counter-terrorism, including cyber-space, it said. On his part, Netanyahu said Indians and Israelis know the "true pain" of a terror attacks. "We are talking about cooperation in (the field of) defence so that our people are always safe and secure. 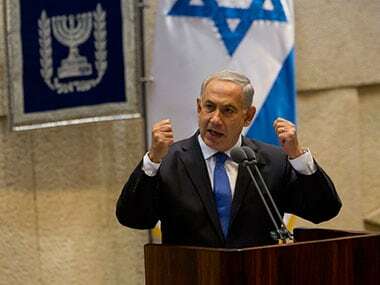 We remember the horrific savagery in Mumbai (a reference to 26/11 terror attack), we grate our teeth, we fight back, (and) we never give in," the Israeli premier said. 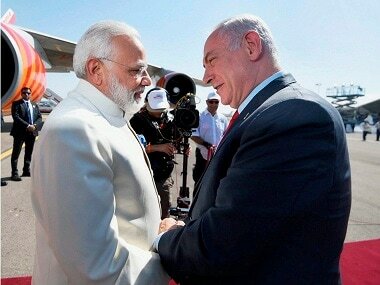 At a joint press event with Netanyahu, Modi invited Israeli defence companies to take advantage of the "liberalised FDI regime" and to "make more in India" with domestic companies. readiness of Israeli companies to enter into joint ventures with Indian companies in the defence sector under the Make in India initiative. 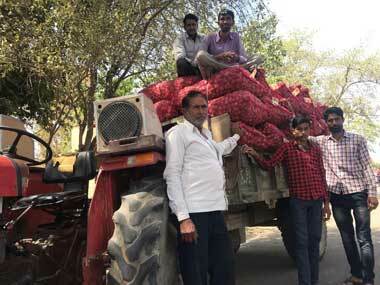 Asked about the Spike deal, Vijay Gokhale, secretary (economic relations) in the Ministry of External Affairs, said, "I am not at liberty to go into the details of the discussions but it is suffice to say that where individual defence procurement is concerned the relevant matters are discussed by officials." Discussion on individual deals are not normally done during a high-level visit, he added. In November, the defence ministry had decided to retract the process to acquire a batch of Spike missiles from Israeli firm Rafael Advanced Defence Systems. Now, it is learnt that the government is considering buying the missiles through government-to-government route.